Female Bingo Review - 200% cash match bonus on 1st deposit! 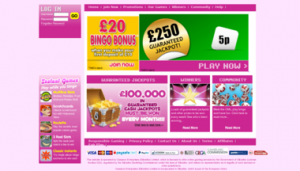 Unfortunately, there is no promotional scheme available on Female Bingo to assist us in advertising the site. As such we have provided you with an alternative called BoyleVegas, which is an impressive gaming site offering a great choice for any type of player. For you lovely ladies out there who fancy some gaming fun, then let us at Mobile Bingo Bonuses introduce you to Female Bingo. Launched in 2016 using the Dragonfish software, Female Bingo is the epitome of girly with a bright pink funky theme. It’s not all about the looks, because games are equally as important. 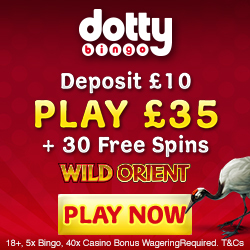 They offer 75 ball and 90 ball bingo, tourneys, scratch cards and slots. Who doesn’t like a bargain? Well at Female Bingo you’ll receive a 200% cash match bonus on your 1st deposit, for amounts between £10 and £100. 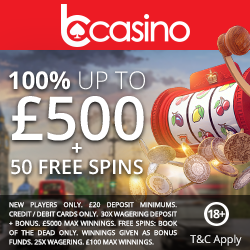 So if you take advantage of the offer and add the maximum amount, you’ll receive an extra £200 or a grand total of £300 to play with. Female Bingo offer a number of regular promotions including over £100,000 in cash prizes and over 100 jackpot games. With such an impressive welcome bonus, we’re sure you’ll be eager to tell your friends all about Female Bingo. For each friend you refer who registers and deposits, you’ll receive 5,000 bingo points; which can be converted into additional gaming credit. When you return over and over again, you’ll notice that as well as enjoying their great games you’ll be earning bingo loyalty points. You may also receive them when you’re playing their promotions or in the chat rooms. Once you hit a certain limit you can convert these points into additional gaming credit. If you’re interested in making new friends, then head over to the Female Bingo chat rooms which can be found under the community link. There you’ll have the chance chat with like-minded people and enjoy their chat games. Should you require any assistance you can contact a representaive via telephone or by chatting with the chat room hosts. There’s also an FAQ section for popular queries, which may resolve the matter quicker. They accept the usual banking methods including Credit and Debit Cards, Paysafe Card and Paypal. If you’re ready for the girl power of bingo sites, then head over to Female Bingo and enjoy their welcome bonus.